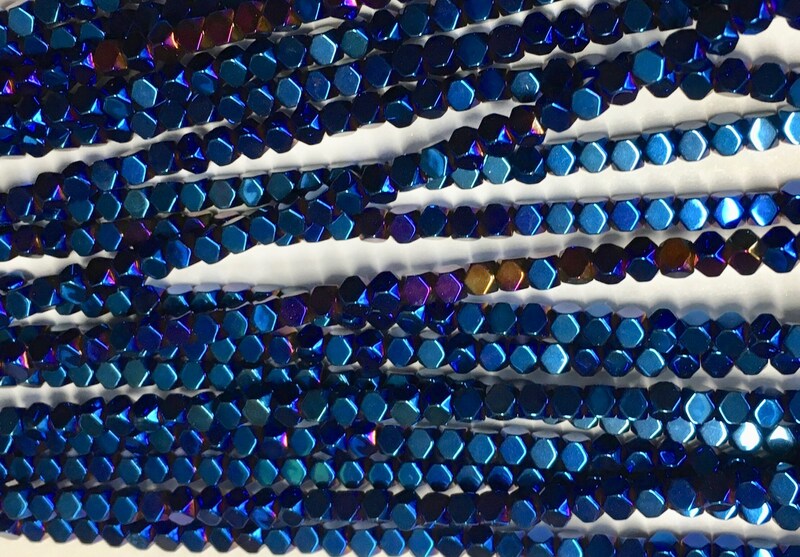 Shimmering blue cornerless cube beads made of vivid electroplated hematine. Approximately 3mm faceted gemstone cubes work great for beading and stringing. Manmade hematine has a similar chemical composition to real hematite, and is popular for use in jewelry and crafts. Hole size: 0.4-1.0mm. About 133-147 beads, 16" strand.